It’s not a secret that the Russian search market is becoming more and more interesting for international companies every year. Yet not many manage to achieve real success. Why is that? Because this market has its own specific characteristics, which those who try to access it from abroad often do not understand. This market really is huge: around 60 million active users, or 42% of the population. 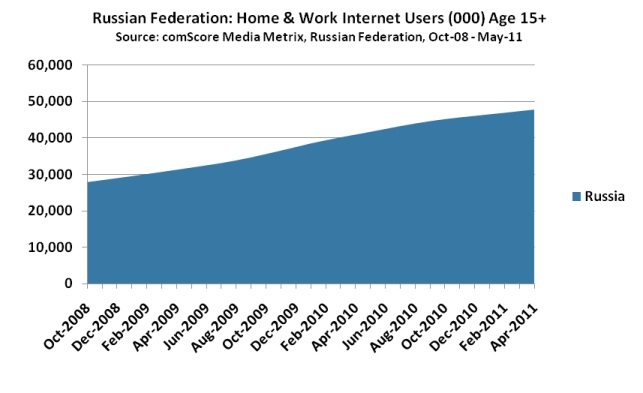 And this number keeps increasing every year: in 2010, the Russian Internet audience increased by 31%, with the mobile Internet segment developing in a particularly dynamic way (81% growth in one year, encompassing 5% of the total audience already). Internet is used the most in the two largest Russian cities – Moscow and St. Petersburg, and each one can be considered as a separate sector in its own right in terms of characteristics and audience. 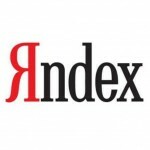 One of the main differences between Russia and most other countries is the popularity of the “national” search engine Yandex, which successfully competes with the local “foreign” search engine Google (around 29%), occupying over 60% of the search market, according to comScore data. Note that this proportion grows further every year due to the other large players in the search market, Mail.ru and Rambler.ru, losing in popularity. 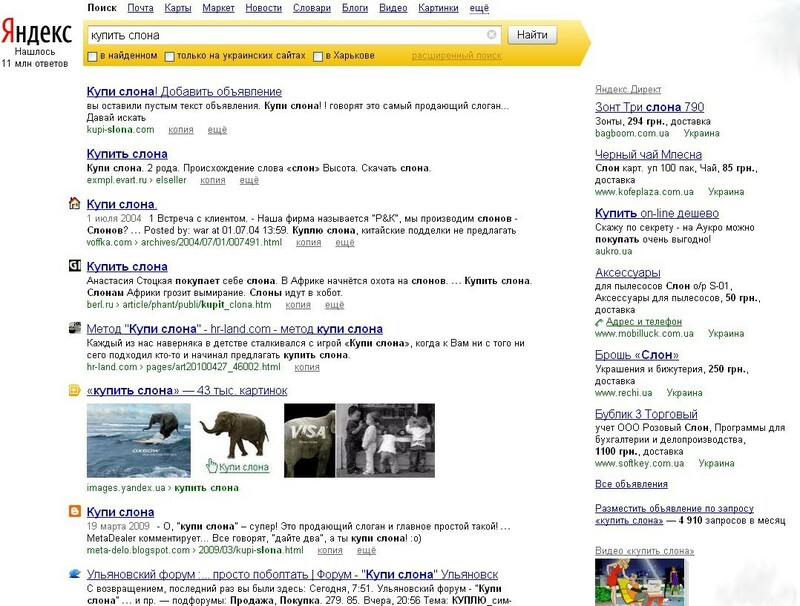 Search results in Google are changed dynamically a few times a day, whereas Yandex does this only around once a week. Some Russian SEO-specialists are right in suggesting that Yandex is much less predictable in terms of algorithm changes than Google, even though there are also a number of unconfirmed myths surrounding this issue. The problem is not that the algorithm changes are too frequent (e.g. the Google Panda Update for Google, which hit positions and website traffic hard and is still fresh in the memories of Western marketers), but that the demands of Yandex towards webmasters are rather contradictory. Yandex has much stricter demands for websites in terms of the length of text displayed on the webpages (there must be a lot of it), its quality (filters and the so-called “pessimisation” are stricter and much more common in Yandex). A site may not attract any visitors for the first two-three months through Yandex. This is nothing to worry about, it’s just the policy of this search engine: older websites have much more credibility. Any manipulation with links is much more strictly punished in Yandex than in Google. What does this mean for the advertiser? Thanks to these bonuses, most large agencies do not impose a service charge for using Yandex.Direct – i.e. money is charged just for using an advertising campaign with a fixed budget. Google AdWords doesn’t have a similar programme, so agencies are forced to charge an additional service fee for marketing campaigns. Apart from this, with Yandex clients can receive extra bonuses (up to 10%), if their budget has reached a certain threshold. This applies both to businesses that use agencies, and those conducting contextual advertising independently. So in an ideal situation (a large budget and working with an agency agreement) the bonus from Yandex.Direct can reach up to 33%! Of this, 15-20% would be a conditional fee for the agency’s services, while the rest will be an addition to the advertising budget. 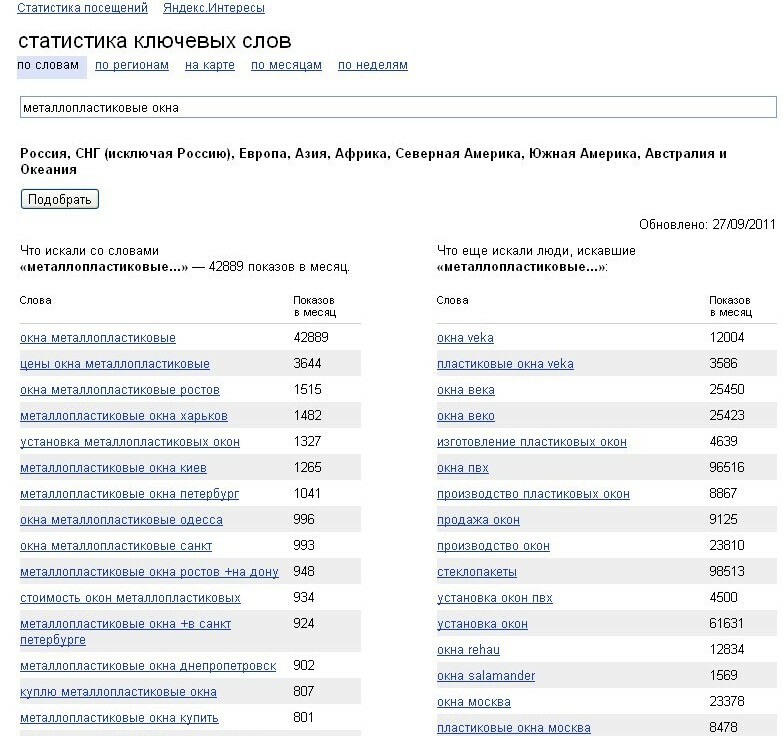 Of course this doesn’t at all mean,that Keyword Tool is less convenient of functional; the primary issue is working with the complex morphology (the abundance of word forms) of the Russian language. When it comes to the price per click, neither of the services particularly stands out. 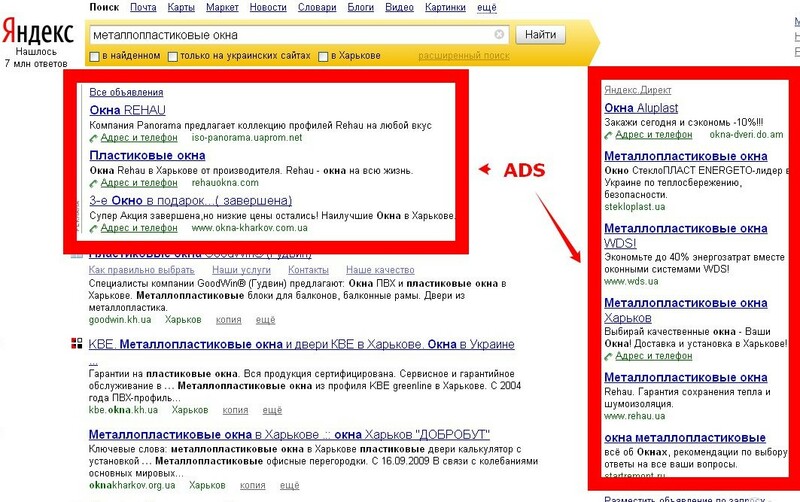 There are exceptions, of course: for example, advertising campaigns focused on Moscow residents (Russian optimisers like to mention such searches as “plastic windows” and “lawyers”) may be significantly more expensive with Google AdWords. Rule 2. To localise for a certain region (Moscow, Tumen, Yakutsk or “all of Russia”) you must enter the appropriate settings into Yandex.Webmaster (a Yandex service for webmasters). If this isn’t done Yandex will determine the location itself (through mentions of cities, phone numbers etc), but it can do this with significant errors. After all, you don’t need to rank in Tumen, right?! Rule 3. The most important rule. We strongly recommend you use local webmasters for SEO and PPC campaigns. This concerns both the problem of working with Russian-speaking searches and the general better understanding of the specifics of local search engines and contextual advertising services. Thus, it can be concluded that the Russian market has its own specific characteristics, which are unusual for those who are used to working in the Western countries. It’s very important to consider these specifics to be successful on the local market.